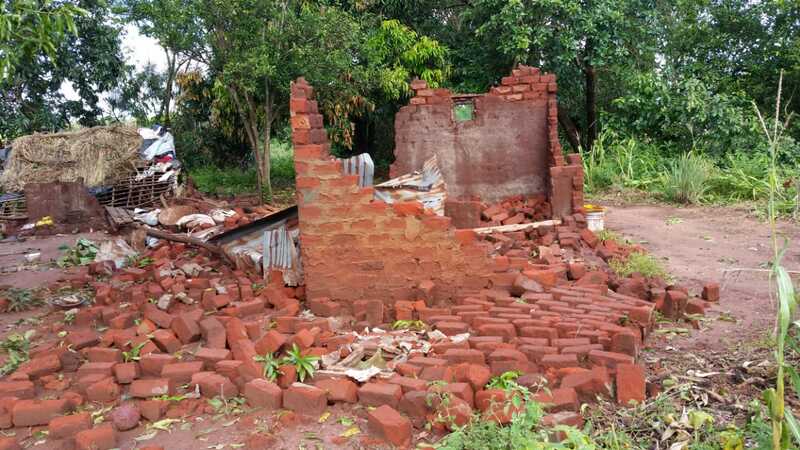 On March 15, 2019, Cyclone "Idai", originated in the Beira region of Mozambique where it exerted its devastating force for more than two hours destroying homes, flooding streets, and taking lives. This terrible cyclone also passed through Zimbabwe and Malawi, where, with its terrible power of destruction, it also wreaked havoc. God protected our brethren in such a way that we did not have any fatalities, but there were serious financial losses. Some have lost plantations, others have partially lost their homes, others are left without a roof over their homes, and some, including widows, are momentarily in shelters provided by the local government. In an indirect way, even those that were not directly affected by the cyclone, are still affected due to the crisis that is spreading in these regions as a result of the damages caused by Idai. Some of our churches have also been hit and need repairs. In such trying times, our family in Christ desperately needs the help of their brethren. Therefore, according to the blessings that God has given you, please help your brethren by sending a donation to help them rebuild their lives. In moments like these, receiving help from brethren they have never even met, is a wonderful comfort, a reminder that we really are all part of one, united family. • Or through the treasury of your Field or Union addressed to the General Conference Welfare Department.